Book a service with a garage through Autobutler to ensure quality work at a great price. Servicing your car is essential in extending the life of your car and ensuring it runs at it's optimum condition all year round. Regular servicing also prevents your car from suddenly breaking down due to wear and tear. When creating a service quote at Autobutler you get 3 quotes, allowing you to choose the quote that best matches your needs, whether it be due to price, the garage’s reviews or location. You can choose to have your car serviced from the most trusted mechanic, at the price you prefer, or combine the two based on the information you have – the choice is completely yours. Most cars today have a 3-year warranty on standard parts, and a 7-year corrosion warranty. This can vary considerably, and some car manufacturers choose to offer an extended warranty when you buy a new car. 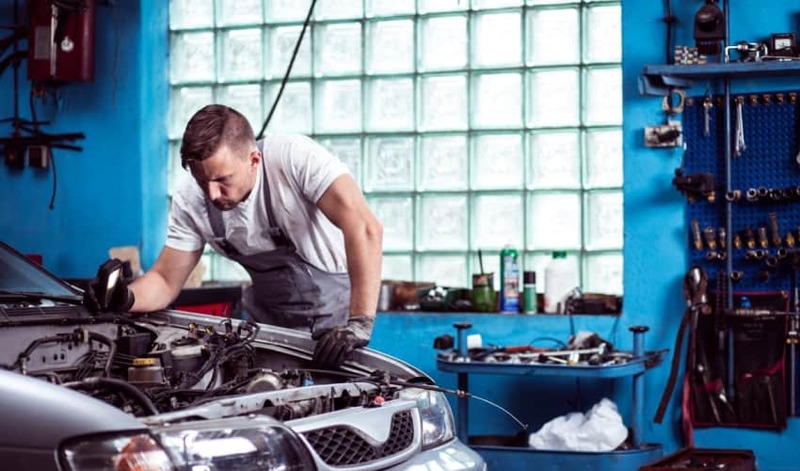 If your car is still under warranty, it is important that a garage adheres to the manufacturer’s guidelines as per the car’s service manual to maintain its warranty. Servicing specifics and time intervals may vary between makes and models. By using a quality garage, you ensure that everything is examined properly with the right testing equipment, that you get quality spare parts and that approved fluids are used for topping up. We carry out ongoing quality checks throughout our garages, and they must all continuously meet pre set guidelines, maintain high ratings by car owners, and are VOSA approved for MOT testing. After the warranty expires, it’s still important to comply with service intervals. Not only does it prevent unexpected problems and expensive repairs, but it also ensures that your car holds its value better. The warranty remains valid, even if you do not choose an authorised dealer, as long as you can prove that the service intervals and requirements have been met by keeping hold of an up to date service log book. It is usually standard for a car service to be carried out at certain mileage intervals, depending on the age of the car. However, if you do not drive that many miles a year, the intervals will be more time dependent rather than mileage dependent. Typically you will need a service at least once a year, if you are not driving enough to hit the mileage intervals. To help maintain your car, many modern cars now show a spanner or similar symbol on the dashboard to notify you when a service is due. You can always contact our support at 0800 048 8195, if you suspect there is something wrong with your car. What about a replacement vehicle? We realise that being without your car is difficult. Therefore, there’s a place on our form, where you can choose to have a courtesy car included in the offer. That way you can keep mobile, while your car is in for its service. Some garages offer this as part of their service, for others, it costs extra, but this will always be made clear on the offer. Once you have had the service, you can rate the garage and help give others insight as to what they can expect from the garage. You will be contacted automatically and all you have to do is click on the link in the email, or contact us to get an update on your quote (0800 048 8195), our team is always happy to help.